I'm excited to announce that I've just wrapped up the first chapter of my ongoing playing card project, Reign of Sin & Rule of Virtue! The sin of PRIDE and the virtue of HUMILITY form the dual-natured clubs suits for the pair of card decks. 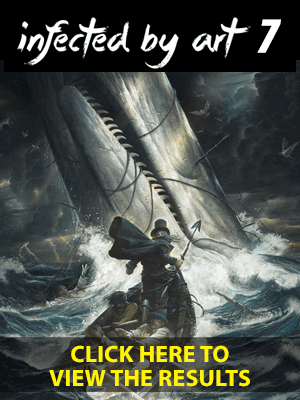 In addition to the art, I've been working on a short narrative for each card that reveals its significance to the deck... you can read the current crop of stories at https://reignofsin.com/?show=gallery. Only three more suits to go! 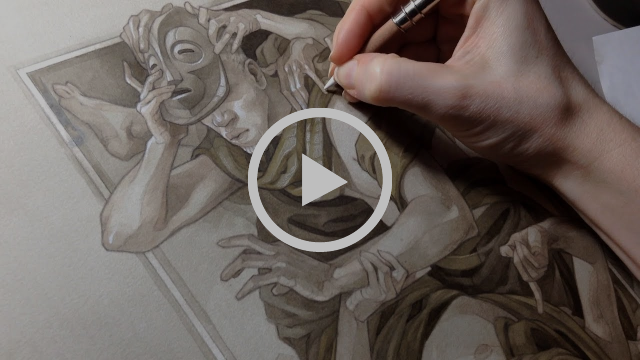 I've also been filming the creation of the paintings whenever possible... you can watch the latest card illustration (the Jack of Humility) come to life here. More process videos (including a few with narration, where I go a little more in-depth on the techniques I'm using) can be found in my YouTube channel. In addition, I've started offering timed limited edition prints of the card art... while there are definite downsides to the blink-and-you'll-miss-it format, timed edition sales have allowed me to spend fewer of my work days packing and shipping orders, and more time making new art! 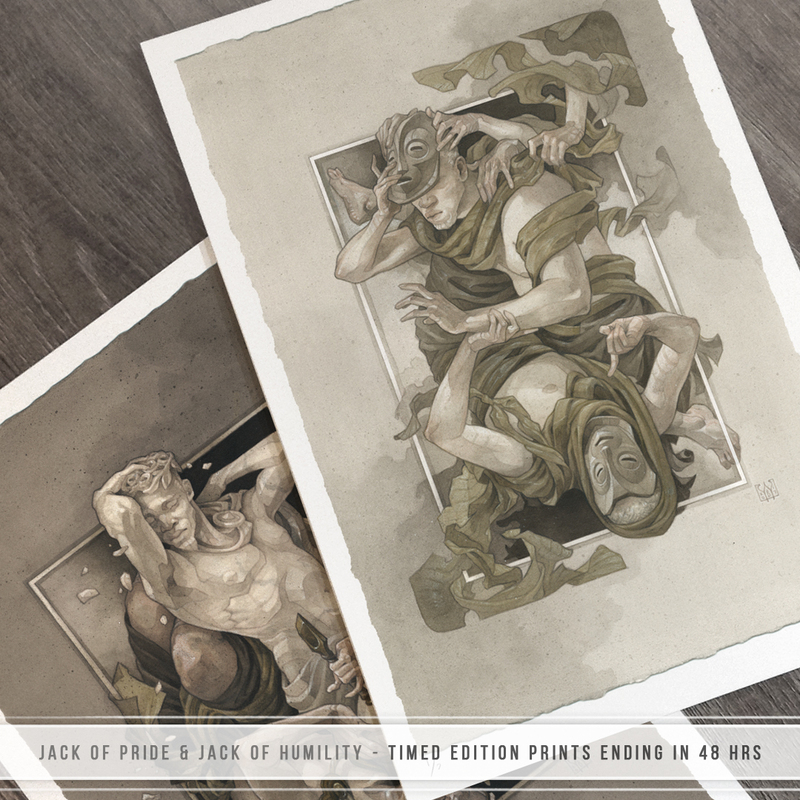 The latest timed edition prints - the Jack of Pride and Jack of Humility - can be found in my shop at www.wyliebeckert.com/prints until Saturday at noon Pacific. 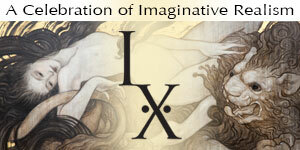 I announce new print releases on Instagram, but if you don't want to have to keep an eye out for them, I also have a print-based reward tier available on my Patreon page where you can reserve a print from each limited edition run.